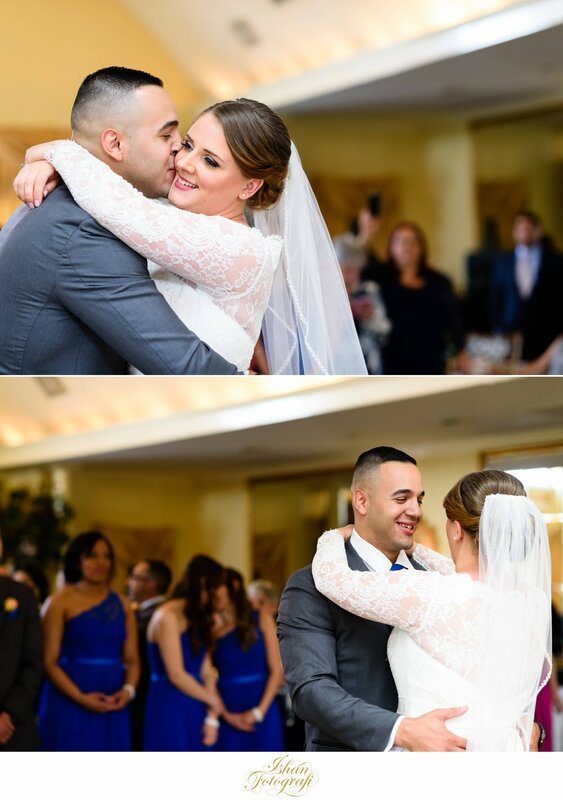 Amanda & Jeffrey chose the Stony Hill Inn located in Hackensack, NJ for their wedding reception. The wedding ceremony was at the St Philip The Apostle Church. We started our day photographing the bride at her parents house. Amanda's stunning engagement ring & Jeffrey's wedding band placed over their invitation cards. We love incorporating personal items while photographing details. Amanda's parents house had a beautiful blooming tree just outside the front of the house. We decided to hang her gorgeous bridal gown on the tree to photograph it. Amanda had her entire bridal party at the house which allowed us to photograph many moments of everyone enjoying and celebrating. Amanda's grandmother was also present at the house and she helped her getting ready alongside the maid of honor and other friends. 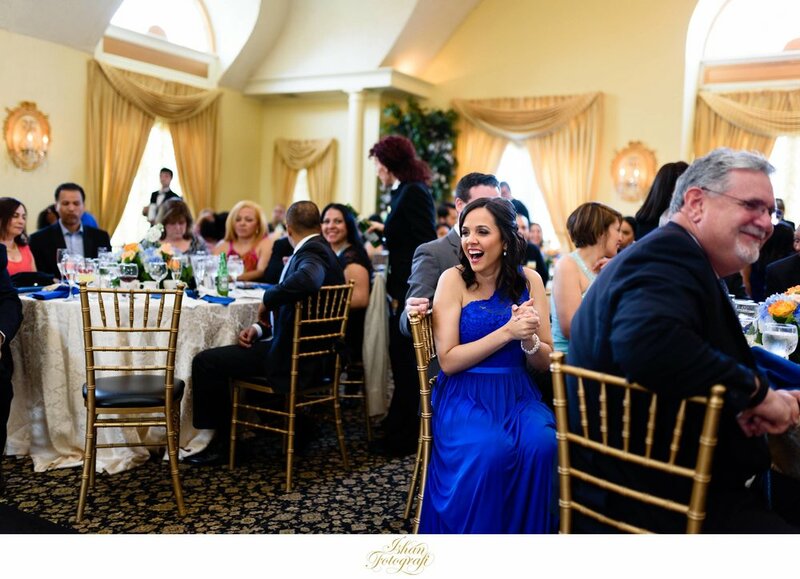 Being surrounded with your bridal party and family always creates a very warm atmosphere. Amanda & Jeffrey chose not to see other before the ceremony. This allowed us to spend a little more time with the bride and her bridal party to create some fun shots for the bride. A photograph of Amanda's mother at her own wedding. Sadly, her mother is no longer with us. Wedding photographs can be such powerful memories which are passed along for many generations to come. We wanted to create a meaningful photograph for our bride who was terribly missing her mother on her wedding day. Jeffrey's parents house was very close by so we quickly stopped by to take some photographs of him getting ready before the ceremony. 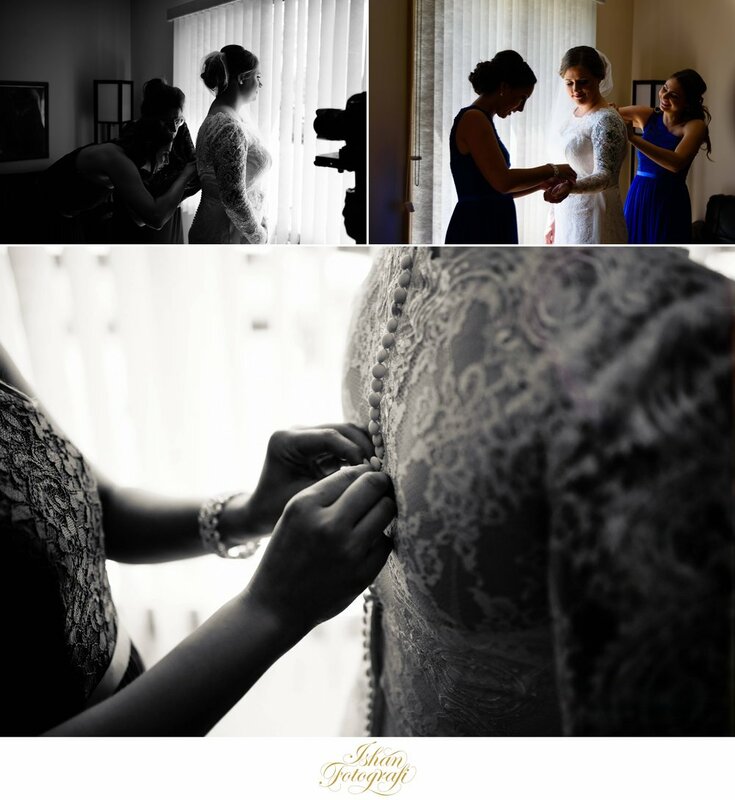 We love photographing moments as they unfold. The groomsmen helping the ring bearer getting ready while the best man was helping our groom getting ready. There was great joy and happiness among everyone. Jeffrey is a really fun guy to be around; he made everyone around him smile all the time. Such a warming personality. Love documenting such heartfelt moments. We had some time left before the ceremony started so we decided to gather all the groomsmen for a quick picture. The church was right around the corner from the groom's parents house. The ring barer with a cool pose! He was enjoying every moment and loved to be photographed. The groom patiently waiting for his bride to arrive. We loved our groom's laid back attitude; he was just in the moment and enjoying it as it unfolded. The bride being escorted by her brother and father. The wedding ceremony was sweet and gracious. 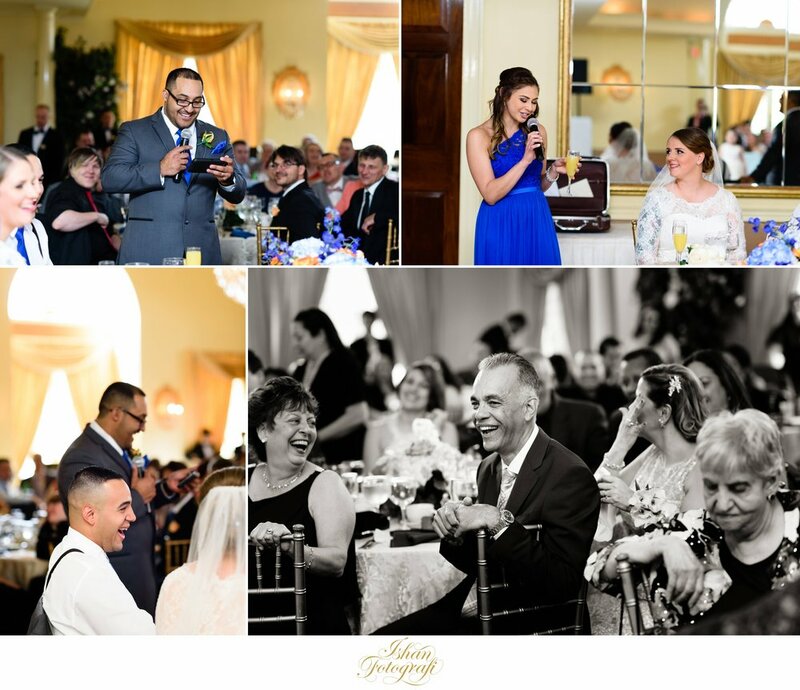 We went straight to Stony Hill Inn after the ceremony was finished and spent some more time photographing the bridal party together followed by some portraits of our stunning bride and groom before the reception commenced. The bridesmaids wore stunning cobalt blue gowns. This complimented Stony Hill Inn's modern and slightly rustic look very pleasantly. The groomsmen complimented it with their cobalt blue ties and pocket squares. Amanda & Jeffrey had such a fun loving and amazing bridal party! Everyone was just so happy to be present celebrating our lovely couple's wedding day. This made our job as photographers so much more exciting! Such genuine moments cannot be posed. The bride and her bridesmaid. Our bride had her mother's wedding photo attached to the bouquet in her loving memory. The subtle details. Amanda & Jeffrey allocated plenty of time for bridal portraits. We took full advantage to create some stunning pictures for our couple. Amanda & Jeffrey love their dog! They flew her from California which is where our bride & groom reside. How cute! The toasts were equally fun! The best man delivered a hilarious speech and had everyone laughing throughout the speech. We got some amazing reactions of the groom and the guests. They compliment each other just so wonderfully. Stony Hill Inn has a really nice brick wall which we wanted to use to make a stunning portrait of our bride and groom. Amanda & Jeffrey; thank you for sharing your day with us. It was an absolute pleasure photographing the both of you and your fun loving and warm families. P.s. - Follow us on Instagram & our page on Facebook! 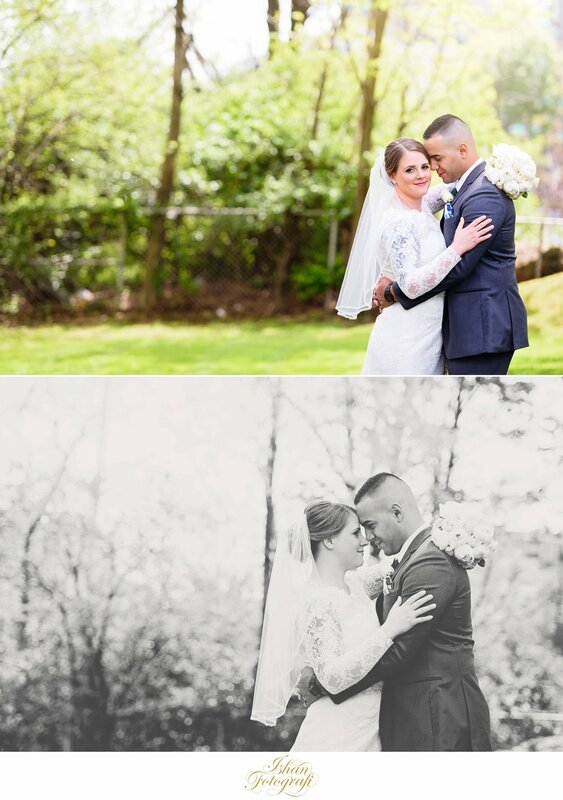 Stony Hill Inn Wedding by NJ Wedding Photographer, Ishan Fotografi.